Christmas ornament vectors pack to create unique Christmas cards to surprise family and friends. 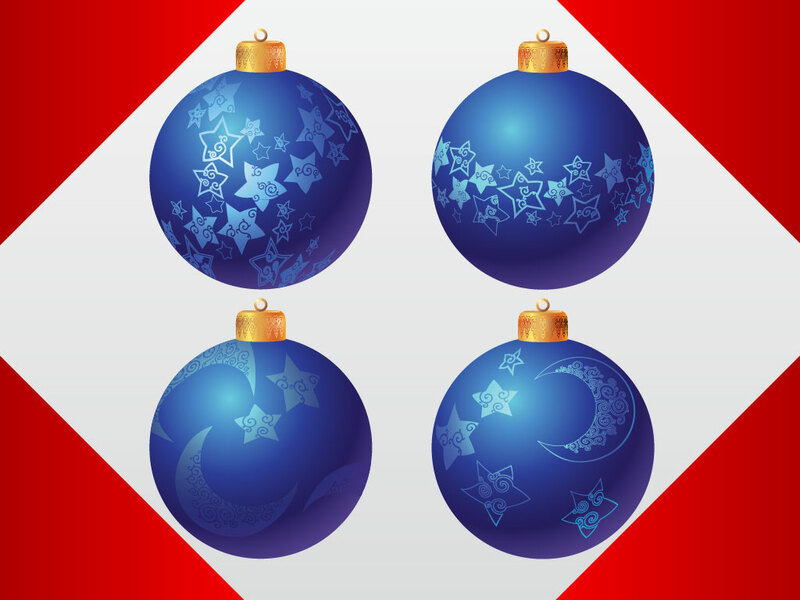 Four different blue Christmas balls with detailed designs on each Beautiful ornaments to add to a vector tree or one of your Winter and Christmas themes. Download these ornate and colorful graphics as AI and PDF for your use. Tags: Blue, Christmas, Decorations, Gradient, Graphics, Holidays, Ornaments.